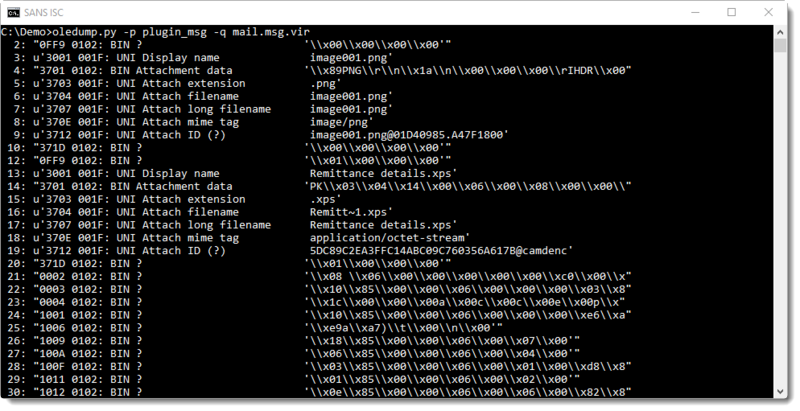 I prefer using a tool to convert the msg file to eml that way i can view the content directly in my lab machine. And what tool do you use for the resulting eml file? An email client in your lab machine? Yes, usually Thunderbird on my lab computer, strings since eml files are non-binary files, or outlook in a vm which wouldn't necessarily need conversion. 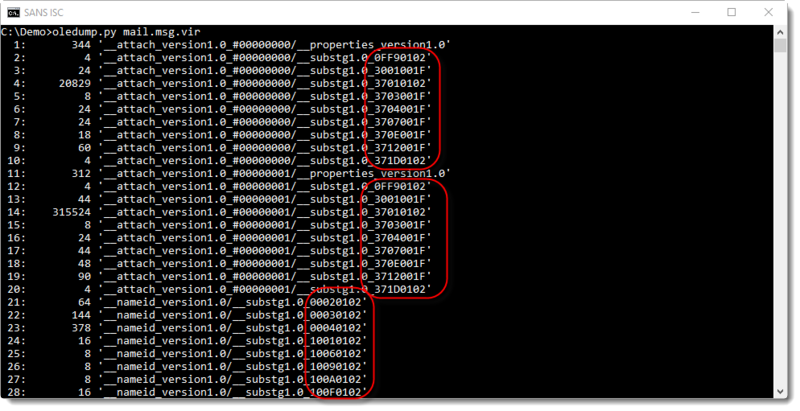 Converting to eml also allows me to view the headers easier as well. From where you got that the content of the email is it in stream 53? I do not see in the picture. 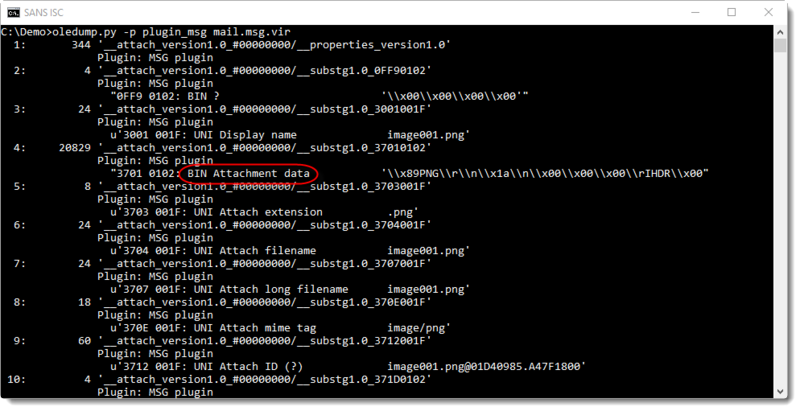 by opening the .msg file from outlook and going to File/properties? I meant, get the full headers?